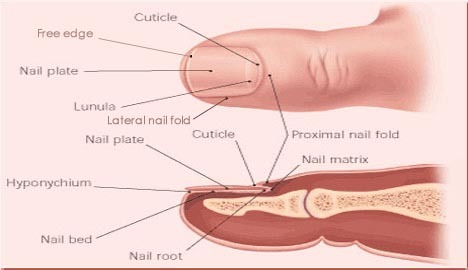 A red macule (discoloured patch of skin) is a common nail feature in glomus tumor - a painful lesion in the nail bed, often exacerbated by pressure of cold temperature. 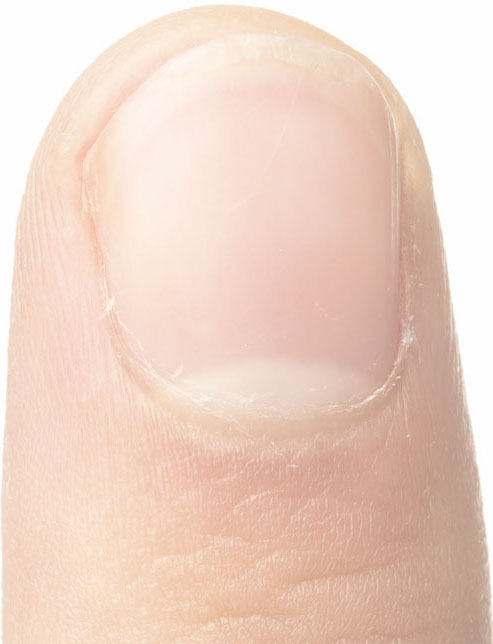 It is usually visible through the nail plate as a red or blue stripe. Medical vocabulary: nail bed dyschromia.